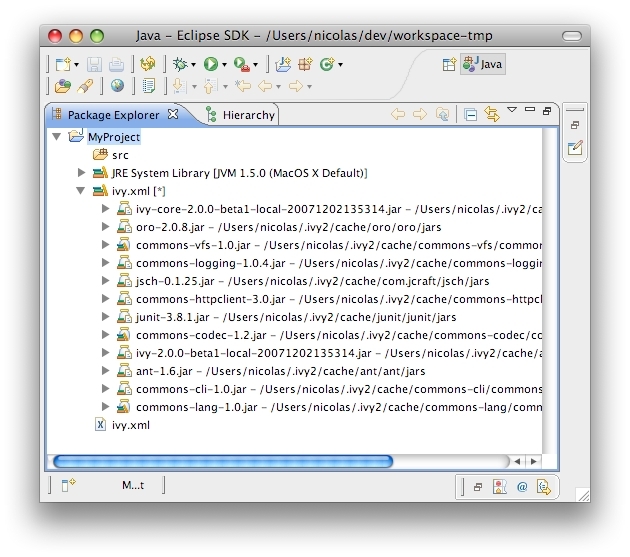 First, locate an ivy.xml file or a maven pom.xml ready to be used to build a classpath. 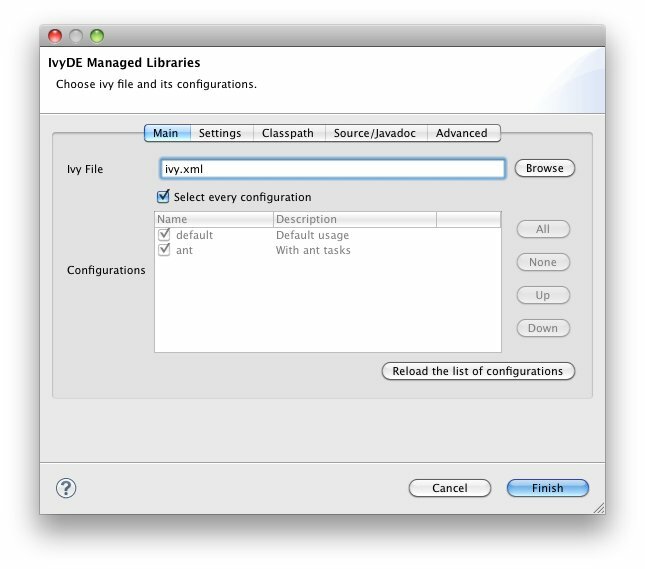 Also, if necessary, locate a supporting ivysettings.xml. 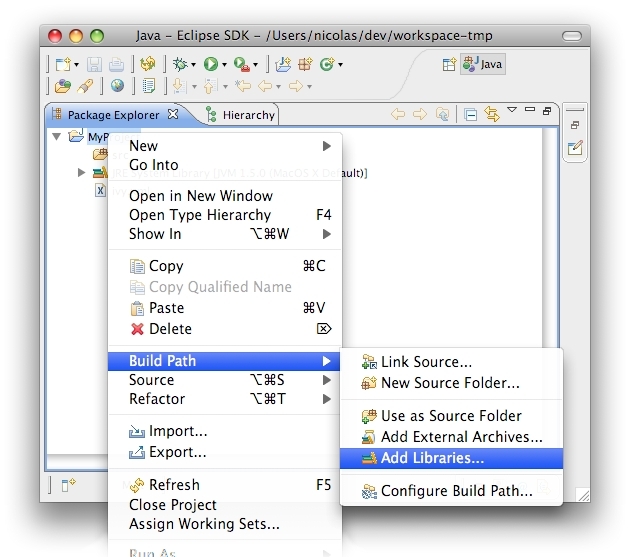 Select the project in which you want to create an IvyDE classpath container and open the "Add Libraries" form of Eclipse (in package Explorer, in the context menu of your project choose : [Build Path]/[Add Libraries]). 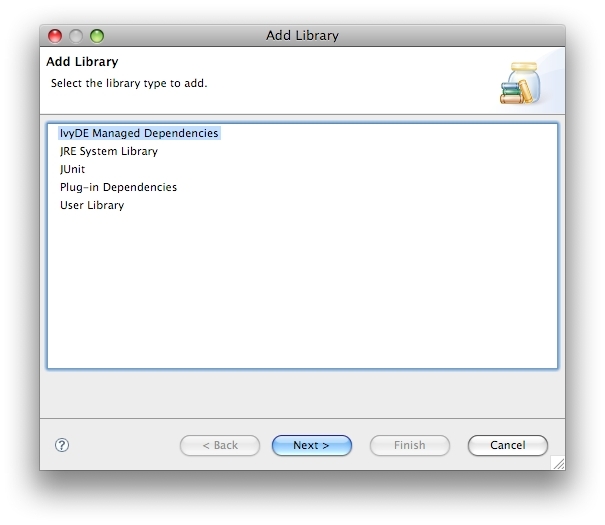 Select the "IvyDE Managed Dependencies" item. You then might want to use specific settings for your project, a configuration different from the global one. 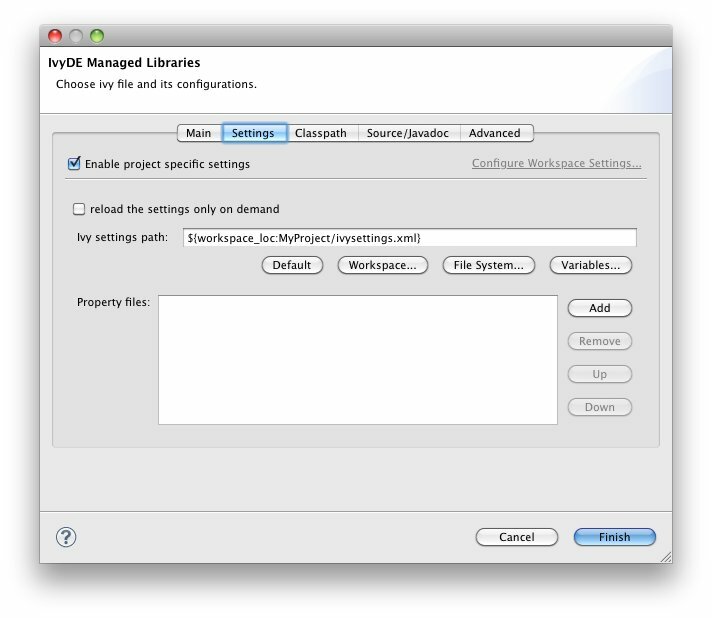 Click on the "Enable project specific settings" check box. 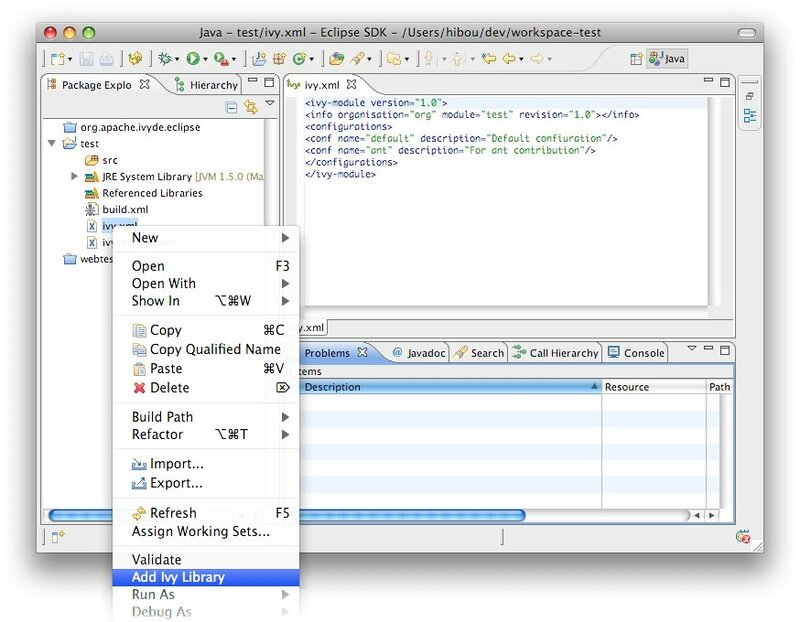 For additional configuration options, see the documentation about Eclipse variables. Now your classpath is set and you can see all dependencies in one unique folder of the package explorer (folder name = ivy-file-name[conf1,conf2]).